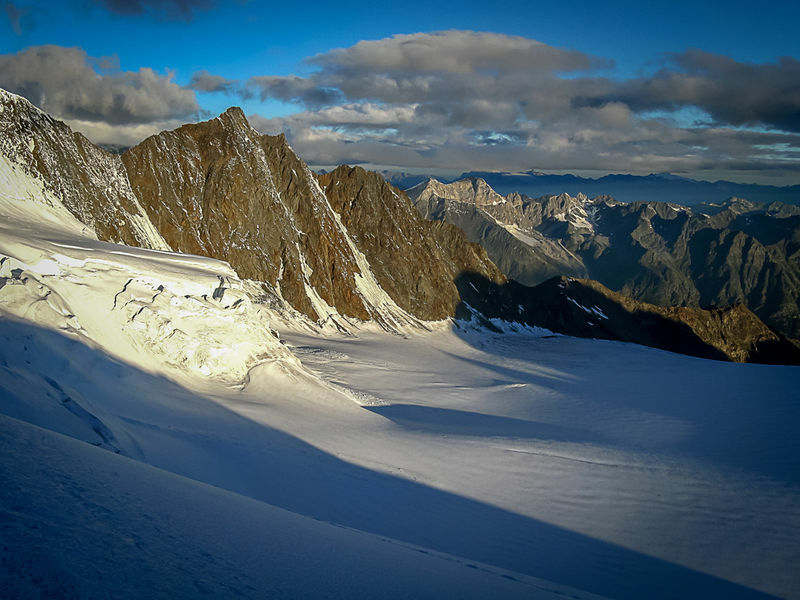 The rocky Dirruhorn is the last summit of the Nadelgrat ridge, located north-west of the Mischabel massif. 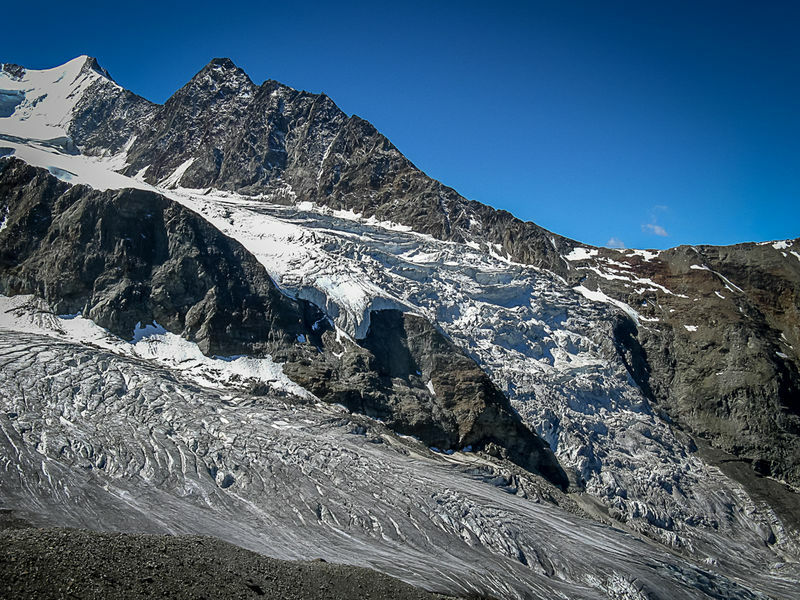 It forms the isolated end point of the Nadelgrat and, unlike the other four summits of the ridge, is seldom climbed – one reason being that much of the snow has melted away in recent years and there is a danger of falling rocks. The Nadelgrat links the Lenzspitze, Nadelhorn, Stecknadelhorn, Hobärghorn and Dirruhorn. 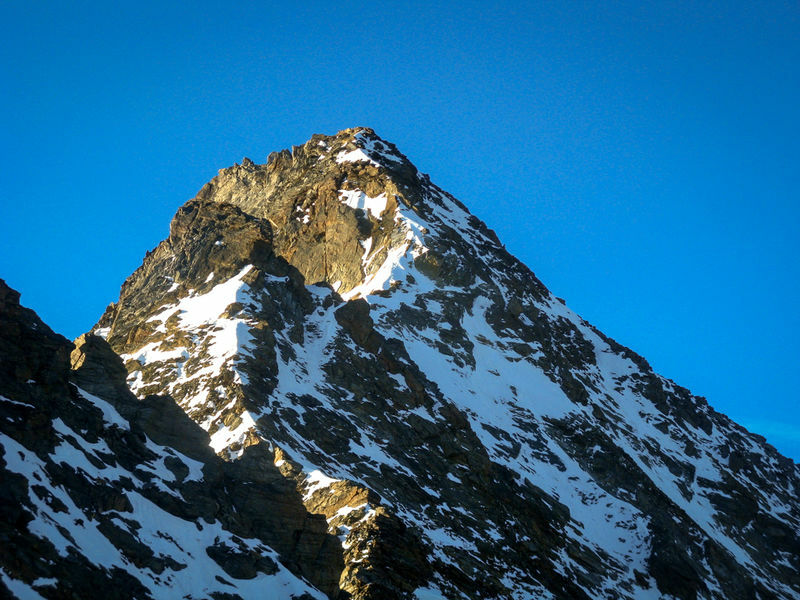 In the Valais dialect, “dirr” means “dry”. The Dirrufad (“dry path”) is a very dry, south-facing mountain meadow below the Dirrugrat ridge, which probably also provided the names for the ridge, glacier and summit.